It’s a new school year, and a new year for Simone’s Kids! 2017 is bringing many new things for us as an organization. 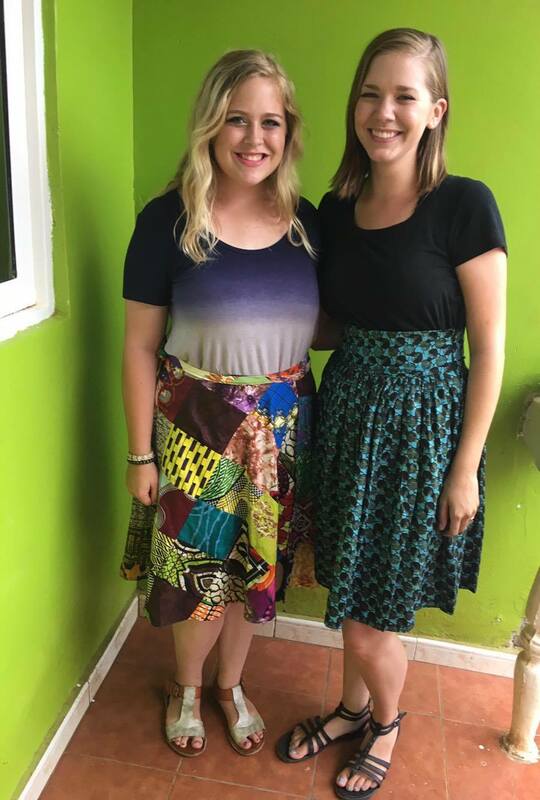 We are excited to have 2 interns from the United States teaching at our primary school in Uganda for the year, and they have already proven themselves to be very beneficial in our classrooms. Victoria Mason and Morgan Longshore are both 22 years old and have degrees in early childhood education. They both went on 2 summer trips with Simone’s Kids before deciding to join us for a full year, and we are very fortunate to have them helping out. Victoria is from Dacula, Georgia, and is helping to teach our Primary 4 English and Primary 5 math classes, as well as helping with the ministry and community outreach programs at our high school. She has a passion for the people of Nakaseke and a heart for the both the physical and spiritual needs of students at God’s Hope Schools. When she’s not in the classroom, Victoria is hanging out with our students, singing with our high school worship team, and planning ways to help our students in the upcoming week. Morgan is from Cedartown, Georgia, and is working with our baby class, middle class, and Primary 2. Most students in baby class are between the ages of 3 and 5, and Morgan has an incredible gift for working with our youngest students. She is always smiling and showing our students the love of God that they need on a daily basis. Throughout most of the day, Morgan is found with children by her side. Both Morgan and Victoria are so great at loving our students and have settled in so well to the community of Nakaseke. We are very excited to see what this year will bring for our students through their hearts and their actions. The first term of 2017 is coming to an end, and the students are finishing up their end of term exams. The students have worked so hard this term, so we can’t wait to see how the they perform on these last tests! We have new enrollment at both schools, and the number of students we are ministering to continues to grow. Our Feet First campaign was very successful, and we are so excited for all to see the other projects we have going on in 2017. One More is our second campaign that has launched, and we are searching for sponsors to add to our Simone’s Kids family. Big things continue happening in the town of Nakaseke and at God’s Hope Schools, and we are so excited to see what we can accomplish throughout the year!